Using the National ZERO TO THREE organization’s Safe Babies Court Teams approach and the Miami Child Well-Being model, Florida’s Early Childhood Court (ECC) emerged in 2014 and is the primary initiative within the Dependency Court Improvement Program (DCIP). ECC addresses child welfare cases involving children under the age of three. It is a problem-solving court where legal, societal, and individual problems intersect. Healthy attachment and early brain development, from birth to age three, is crucial to a child's future social-emotional health, school-readiness, and life-long well-being. Infants and toddlers in the child welfare system are at extraordinarily high risk for developmental delays, non-optimal attachment relationships, trauma, and toxic stress that can affect their adjustment and well-being for years to come -- often, tragically, for a lifetime. ECC allows courts to take what is currently known about the appropriate services and practices for early brain development and make them available to the most vulnerable children. Click here for the Safe Babies Court Teams video. The DCIP panel developed the ECC best practice standards in 2018. The standards were then approved by the Steering Committee on Families and Children in the Court. 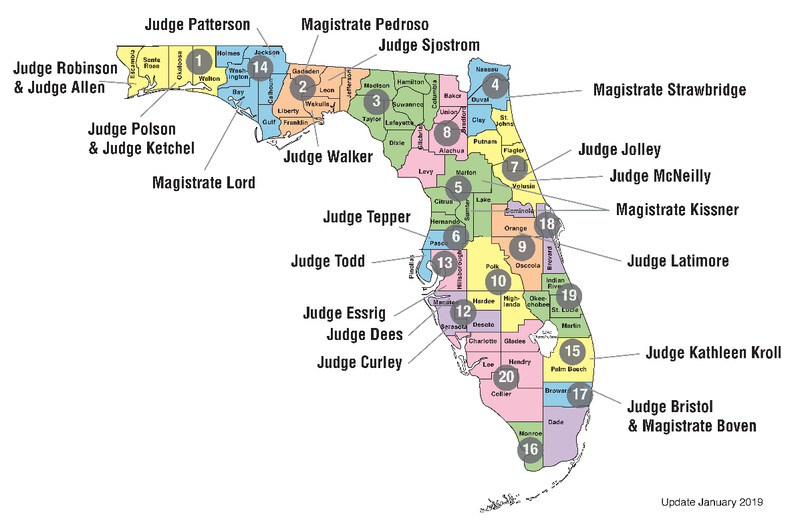 The next phase is to have them approved by the Florida Supreme Court, then implementation will begin. Core components in ECC include judicial leadership, a community coordinator, monthly court reviews, evidence-based child-parent therapy, frequent parent-child contact, and the use of multidisciplinary family team meetings. Florida’s ECC has grown in the five years since inception from a few sites in 2014 to 22 sites in 2018. The partnership between the Office of Court Improvement, Florida State University, and ZERO TO THREE has made it possible for the initiative to expand. See map below for ECC sites throughout the state. ZERO TO THREE's Safe Babies Court Teams boast timely permanency and a substantial reduction of re-maltreatment. Permanency can also be referred to as case closure, with the child placed in a permanent home. Florida’s data shows promising preliminary results, particularly in days to permanency. Implementation of the best practice standards will increase data uniformity and promote fidelity of the approach statewide. Read summaries of the two Early Childhood Court Outcomes Analyses conducted by the Office of Court Improvement in 2017 and 2018 . Timely permanency is assessed by measuring the time to closure, which is the time from the removal to the time the child's case is closed. Case closure is defined as the termination of supervision. 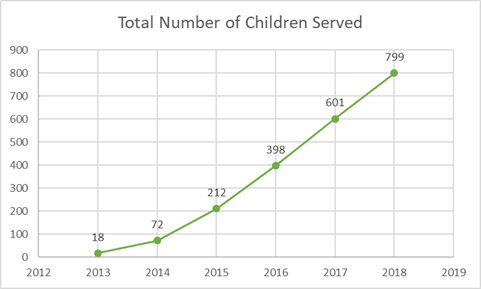 The Office of Court Improvement conducted an analysis of 356 ECC children, ages 0-3, to a comparable group of 366 non-ECC children from 2014-2018. The analysis highlighted closed cases with the following permanency outcomes: reunification with a parent, adoption, and permanent guardianship with a relative or non-relative. The average number of days from removal to closure for reunification for ECC children was 477. The average number of days from removal to closure for reunification for non-ECC children was 736. This is a difference of 259 days, which means ECC children attained permanency through reunification 8.5 months sooner than non-ECC children. 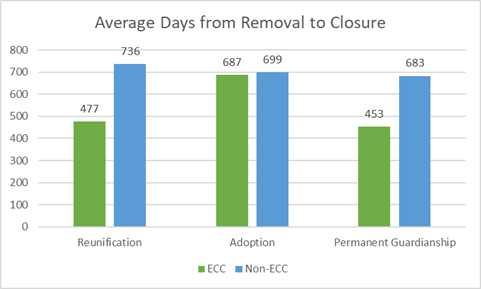 The average number of days from removal to closure for adoption for ECC children was 687. The average number of days from removal to closure for adoption for non-ECC children was 699. This is a difference of 12 days, which means there was no statistical significance regarding time to adoption between ECC and non-ECC children. The average number of days from removal to closure for permanent guardianship for ECC children was 453. The average number of days from removal to closure for permanent guardianship for non-ECC children was 683. This is a difference of 230 days, which means ECC children attained permanency through permanent guardianship 7.5 months sooner than non-ECC children. The average number of days from removal to closure for ECC children was 552. The average number of days from removal to closure for non-ECC children was 695. This is a difference of 143 days, which means ECC children attained permanency 4.75 months sooner than non-ECC children. In the analysis, only 22 out of 356 ECC children re-entered the dependency court system due to re-abuse, compared to 36 out of 366 non-ECC children. Children in Early Childhood Court receive child-parent therapy using an evidence-based intervention aimed at healing trauma and repairing the child’s relationship with their parent(s) or caregiver. Other characteristics of ECC include more frequent visits between children and parents, fewer placement moves, and a continuum of infant mental health and timely early intervention services. Click here for an Early Childhood Court brochure. A multitude of publications and resources related to early childhood and ECC are available through FSU’s Center for Prevention and Early Intervention Policy website: https://cpeip.fsu.edu/. The Steering Committee on Families and Children in the Court works to establish a fully integrated, comprehensive approach to handling all cases involving children and families. The steering committee is charged with assisting the statewide multidisciplinary dependency court improvement panel – the panel that oversees ECC implementation. Contact Carrie Toy for additional information on Early Childhood Courts.